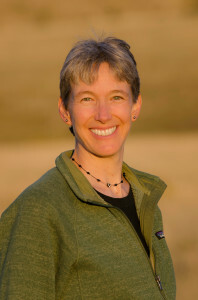 Kimberly Geil has a PhD in Educational Psychology and Research on Teaching from the University of Colorado at Boulder. Her research focused on burnout and engagement among teachers and transformative professional development opportunities, specifically the Courage to Teach program. She taught English in Japan, and also taught high school Japanese in the United States. She has been an admissions counselor for the University of Colorado at Boulder, and ran the Guide and Visitors Service at Stanford University (she received her undergraduate degree in sociology from Stanford). She has many diverse interests, and now happily keeps busy with coaching, working in the office of Exum Mountain Guides, and administering leadership development programs at Sacramento State’s College of Continuing Education. She spends her summers in Wyoming and the rest of the year in Sacramento, CA with her faithful mountain attack poodle. Her formal life coach training has been through MentorCoach. With its foundation in positive psychology, coaching provides many possibilities for helping people make changes in their lives, and it is a natural fit for Kim. She has always been passionate about doing what she loves, and wants to make sure she helps as many people as possible make a leap into the crazy good life that is waiting for them! Click here to sign up for a Make a Leap strategy session. “I have to start out by saying that Kim is an amazing, intelligent, and kind person. Throughout our four sessions she made me feel important. When I started this process I did not know what to expect. I was at a crossroads in my life and needed help to figure it out. My first session with Kim surprised me because I was very emotional. I had a lot of built up anger and regret. I felt like the last ten years of my life were a waste because I am not where I wanted to be in my career. Kim was so understanding and made me feel okay for being emotional and never judged me. Instead she came up with a few exercises to break down the regret and anger. Our next session focused on what careers I can go into besides nursing. With a few more exercises we were able to come up with other health field careers that would make me happy. And lastly my third and fourth sessions focused on forgiving myself and being happy with what I have. Each session discussed here was what I came up with and Kim provided me with the tools. I came into this process with doubt, anger, and regret and came out of it with hope, forgiveness and the drive to accomplish anything I set my mind to. My four sessions with Kim were hard work, sweat and tears, but I came out of it with a positive attitude and confidence.” – Xia M.